Single or not, everyone can celebrate this day of love in New York City. 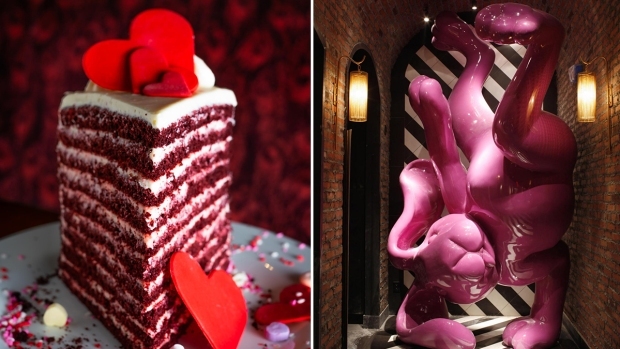 Here are a few Valentine's Day specials and events being offered around the city. If you're looking for a classic romantic night out in the city or some place to stay here are some great recommendations. Hotel Indigo Lower East Side and its rooftop hotspot Mr.Purple is great for even just a one-night stay. 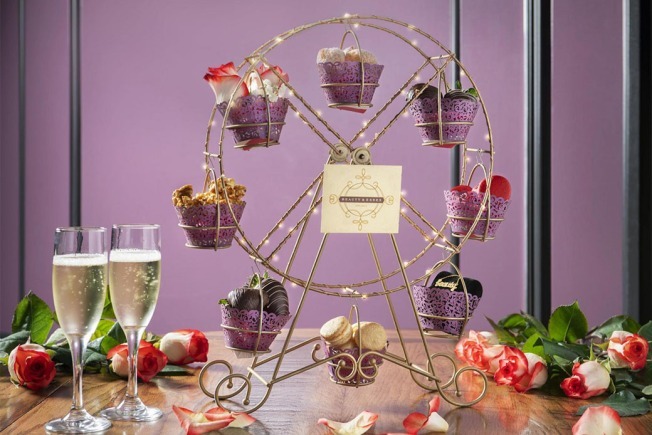 Start your night on Mr. Purple’s rooftop terrace complete with a bottle of champagne and chocolate fondue. The William Vale is also offering a package dedicated to self-care. It will include 30% off in addition to a special intimacy kit that promises good vibes. For singles or couples you can set the mood with candles, products and tips from Maude on how to achieve self care. Ladies celebrating ladies! If you're looking for fun ways to spend time with the girls, check out some great places to have brunch or a girls night out. On Sunday, Monarch Rooftop is having a special brunch party for you and your best friends. There will be Make Your Own Galentine, Prosecco Pong, Hairstyling and a raffle for prizes. All proceds & donations will go toward Bethenny Frankel's B Strong Foundation. Moxy Times Square is having a "Girls Night Out" package. 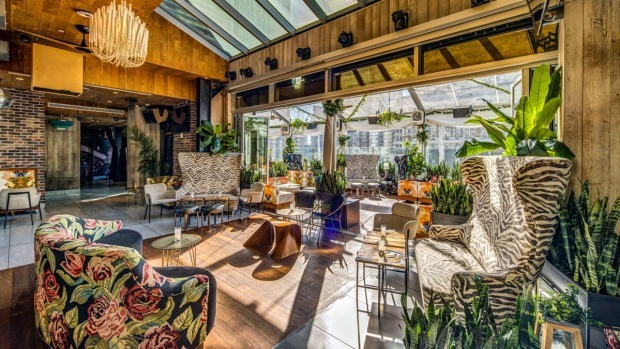 The package includes an evening filled with Prosecco on the rooftop, breakfast at Bar Moxy and dessert at Legasea. There's no reason to leave the hotel. Valentine's is the perfect time to have some sugary treats and many resturants are transforming some of their classic desserts into special Valentine's sweets. Lavo one of New York's favorite Italian resturant is transforming their signature 20-layer chocolate cake into a 20-layer red velvet cake. It will only be available on Valentine's day but guaranteed to hit the spot. You might want to share this with someone. If you're looking to impress your date, check out Vandal. The resturant will feature a Hearts of Passion desert that includes a passionfruit cheesecake and red berry sorbet, available only on Valentine' day. Vandal also recently opened a brand-new entryway "Endless Chess" an interactive optical illusion perfect for capturing that special moment. Beauty & Essex is getting a make-over for Valentines. There will be champagne gummy hearts, chocolate covered strawberries, raspberry heart marshmallows, strawberry & cream fudge, pink vanilla cotton candy and passion fruit truffles spinning around. You can also upgrade your dessert to include a limited edition 'Beauty' necklace from the Pawn Shop. Halo Top is hosting a pop up event at Grand Central's Vanderbilt Hall and will be giving away 30,000 free pops to passersby on Valentine's Day. The flavors may even correspond with your relationship status. For those who are single try the strawberry cheesecake pop, taken peanut butter swirl pop, it's complicated maybe some mint chip pop, and if you're simply jut hungry go for the chocolate chip cookie dough pop. An evening on the water this Valentine's sounds like the ideal wine and dine date. 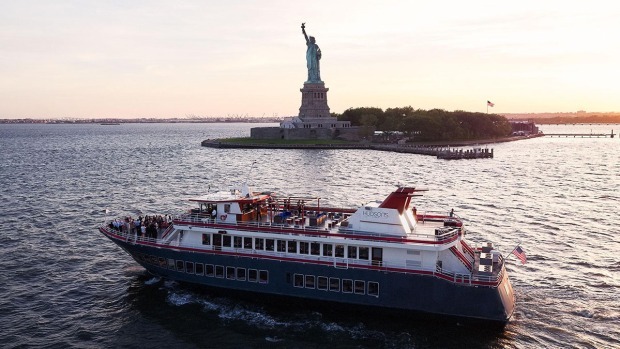 Hudson's at Pier 81, is offering a delicious 4-course dinner menu, champage toast, all with the maginificent NYC skyline and The Statue of Liberty as your backdrop. Want to your date to feel like a celebrity? Consider Pomona, the celebrity favorite staples across from The Plaza. The menu is inspired by historical favorites of the city, featuring a Prime 40 Day-age NY Strip, Hudson Valley Foie Gras Sliders and Baked Alaska. Maybe Valentines is the perfect opportunity to learn some new dance moves! Ailey Extension is offering a special Salsa night class to all dancers regardless of your level and backgrounds. There is no cooler place to move than the Joan Weill Center for Dance which is NYC's largest building dedicated to dance and the home of Alvin Ailey American Dance Theater.